We are very content with the data that gives us huge numbers of people who experience various allergic reaction, be it seasonal or from other sources. What we may miss behind any huge number is a real suffering each one of those individuals can go through while experiencing allergic reaction. I myself can go through the times each season when my body can be driven to exhaustion from allergies. It is very debilitating and non-productive for me. Having a product that could relieve severe allergic reaction could be a life savior for me. Being always on the lookout for natural and effective allergy relief solutions, Zicam comes to mind. I am yet to try it to work on my body for allergies, but decided to let you know what Zicam has gotten in their arsenal for allergies, nasal congestion and sinus relief this season. Allergy Relief is a homeopathic alternative to other nasal congestion products. It’s a non-drowsy relief of multiple symptoms. Extreme Congestion Relief gives you fast relief of nasal congestion and sinus pressure. This product provide a 12-hour relief, which is always welcome. Aloe Vera would be a soothing agent in this formula. Intense Sinus Relief would be handy to get rid of the debilitating sinus pressure and nasal congestion. Cooling menthol and eucalyptus would add to the comfort of the nasal sensitive tissues. 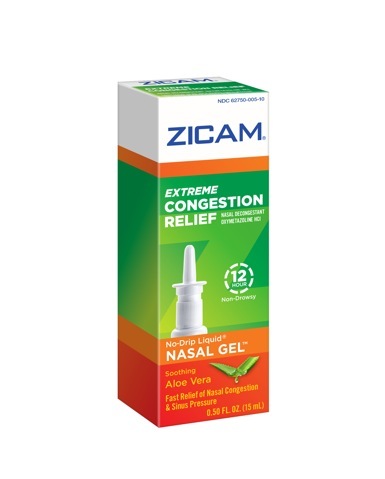 What I like about Zicam is their Homepathic approach to ease allergies and sinus pressure and congestion that occur alongside. Homeopathic solutions trigger our body’s natural system of healing. You, too, can go forward and be brave and try Zicam in your life. 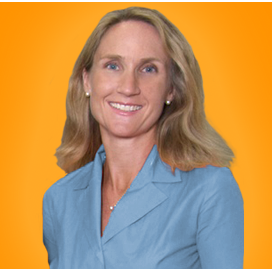 The company’s CEO M’lou Arnett is an active mom of 4 who has her own story to share about allergies. What she does as the least measure to avoid or lower allergic impact on her body is always carry her own Zicam Allergy Relief. She manages to keep up not only with her sports-driven kids, but also to ensure she feels great during the day: Too many important decisions to make and ton of people to meet. A few days ago we polled our audience for the questions they’d like to ask Zicam about their new allergy product. Here are the questions and answers by Zicam Team for your consideration. • Can people with high blood pressure or diabetes take these 3 products? We suggest that you speak with your healthcare provider if you are under a doctor’s care for an existing medical condition or are taking any other medication before taking any Zicam® products. • What is the age range for these 3 products? Our Extreme Congestion and Intense Sinus products are for adults and children 6 years of age and older. Our Allergy Relief is for adults and children 12 years of age and older. • Are there any restrictions for these 3 Zicam products to be taken with other medication? Can they be used with such drugs like Zyrtec? Not combined together, but apart during the day. You can refer to the product labels for specific warnings. You should always check with a pharmacist or your doctor before taking Zicam® with other medications. • Is Zicam Allergy effective for pet dander and dust? Zicam Allergy relief temporarily relieves symptoms due to hay fever or other upper respiratory allergies. • What is the TIME notice line for these products? In how many minutes does a person get relief? For more info, please reach out to our call center (toll free) at 1.877.942.2626. • Any side effects from these Zicam products? Also, you could win some wonderful prizes this season from Zicam. 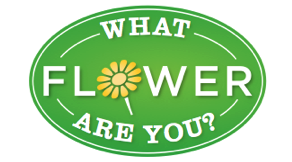 Take their quick quiz What Flower Are You? and you could win a bouquet of Spring Flowers. Come back and tell us what that precious flower you are! Want More to Read Up On Allergies Relief? –> Can You Name Top 5 Allergy Busting Foods? Hello! Writing to you from Zicam HQ — we’re glad you’re enjoying the Facebook quiz and are learning more about our allergy and nasal congestion relief products. Please join us on Facebook at and on Twitter @Zicam! I use this all the time and it really works great! Why should we use the nasal spray instead of taking a tablet? How is the spray more affective? I don’t have allergies. Knock on wood. I wish a peaceful summer to you all. We are loaded up on this as allergy season is here.. I will have to try this this year. Thanks for the info. Question: It’s a gel formula so no nasal drip but does it mean it’s sticky feeling in my nose? I apparently, am a rose. my 5 year old daughter has allergies pretty bad, do they make this for kids? I have lots of seasonal allergies and when they get really bothersome I take one of the pills on the market. I do have a few medical issues so before I try this I’d better research it more then ask my doctor! I didn’t know Zicam had a sinus relief formula. I’ll have to check it out! The quiz says I’m a Peony. My allergies are terrible right now, I will have to give Zicam a try. I am lucky I do not suffer from allergies. I will have to share this for my sister who does. It’s the most sneeziest time of the year, that’s for sure. I have allergies, so if I start having a hard time that my allergy meds can’t shake, I might check this out. It’s nice to have options. Thanks! I hope these help my allergies! I think I’ll need this as I have allergies from time to time. I’ll point these out to my son. He has awful summer allergies. Zicam is really great – It’s one of my go to favorites! Since moving south, I’ve had crazy eye allergies, probably from all of the pollen. Thankfully none of the sneezing or congestion though. I am allergic to dust and I also use nasal sprays for relief. Only thing is that it’s a little expensive but worth it. I tried this and it was instant relief. My allergies no longer bothers me. Thank goodness! I had it so bad! I definitely have to try this. I have ridiculous allergies ( especially in the spring). Perfect timing!